According to the data derived from 2008 personal income-tax returns, Statistics Canada has found that Calgary led other metropolitan areas in median-family income. Calgary was followed by Edmonton and Ottawa-Gatineau. 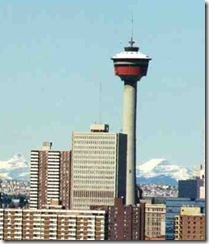 Calgary families earned $91,570 in 2008, well above the Canadian average of $68,860. Edmonton followed with family income of $88,190, and Ottawa-Gatineau was third with $87,160. As the data was based on 2008, when the people were yet to feel the effects of economic crisis. I suspect, the equation might have changed in the past couple of years. This entry was posted in Love n Life, Travel - Places and tagged Calgary, Edmonton, Ottawa. Bookmark the permalink.